Controlling dozes of bots at the same time seems to be a Sci-Fi concept but the technology has made its presence felt within some enthusiastic segments of robo scientists. 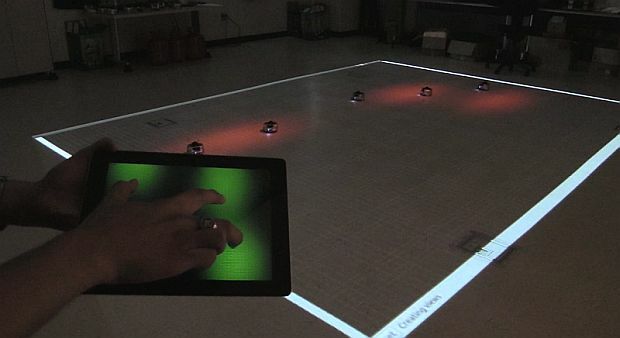 Thinking on the same line of thought, Georgia Tech’s GRITS Lab has fabricated a method of dynamically controlling huge swarms of robo minions by just using just a tablet and a finger or two probably. The idea is to rely on swarm of tiny bots by intuitive controlling than a single big robo-machine. As Magnus Egerstedt from Georgia Tech explains that individually programming each bot is not feasible especially when controlling million robots are in question. Instead, controlling the area that requires to be explored is the best and the most viable option. At such a scenario, the swarm of tiny bots works in unison for determining the ways for accomplishing the task. Robots are good at identifying effective alternatives for completing tasks however, their efficiency decreases when they have to adapt to change or figuring out tasks that need to be done on the fly especially when there is sudden change in priorities. It is at these situations Georgia Tech’s system comes to the rescue. Just by looking at the arena on a tablet, even a new user can allot milestones to each robot and accordingly, the bots coordinate with each other to reach to the common goal. Researches envision applying this system at disaster search-and-rescue mission, where the terrain is rugged and uneven that requires to be covered optimally. The flock of bots would have no trouble in cooperating to search an area. 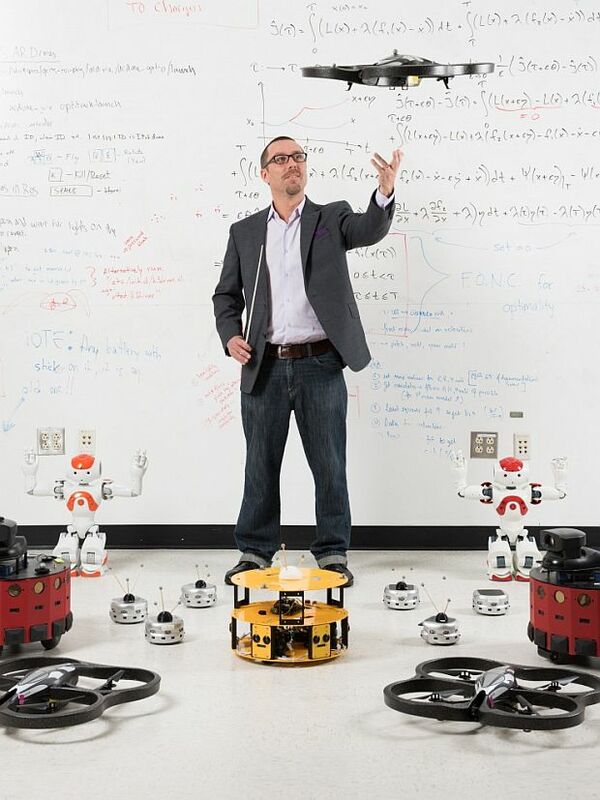 Accordingly, humans may deploy the swarm of bots to other areas that requires exploration. As soon as the goal is assigned, based on the algorithm, the bots redeploy themselves with an aim of optimal coverage. Not only this, departments like cleaning robots, surveillance robots, delivery drones can benefit from this multi-robot system interface. The UI requires no prior formal training, which makes the Georgia Tech’s system even more super cool.